Having now read somewhere in excess of 30 to 40 thousand BVA decisions, something very apparent is starting to emerge. Veteran’s claims for HCV where the genotype is mentioned are predominantly Genotype 1A. While that might not seem to be important or earth shattering, it contravenes the theory ofVietnam and SEA service being a breeding ground for HCV and, hence a risk factor for the same. The predominant genotype of HCV on the SEA continent (Cambodia, Laos, Thailand and Vietnam) at the time of the Vietnamese War was 3A. 3B was present but not nearly as prevalent. Service inOkinawa, Japan and Korea reflects that 2A and 2B were the predominant strains in those theaters. Moving toEurope, we find that servicemen were infected in larger numbers with the 1B variant. So how do we account for the inordinately high numbers of our troops being infected with Genotype 1A? We at ASKNOD, being unschooled in the arts of medicine, have come to the unscientific conclusion that the high incidence of this disease in only one strain would require a disease vector that is common to all servicemen. Et voila! Enter the jet gun. It is established medical theory that communicable disease paths are readily discernible after years of study. This is based on numerous studies and vast quantities of medical dissertations which unfortunately consume vast quantities of paper and deplete our forests of trees. One scientific theory, known as Occam’s razor, puts forth the proposition that the simplest explanation for an otherwise inexplicable event is usually the correct one. Armed with this information, what should we make of VA’s stubborn refusal, above and beyond the FAST letter and the “plausible” argument, to admit to the obvious? It’s like the family in the 50’s who kept the retarded – mentally challenged aunt in the upstairs bedroom when visitors dropped by and insisted she just wasn’t up to seeing guests that day. VA similarly has their collective head in the sand on this important issue. Despite continued denials of the correlation between jetguns and a high prevalence of HCV among Veterans, no definitive studies have ever been launched by the VA to explore the possibilities of this theory. Given that these chowderheads squander money left and right to find a better computer system or streamlined claims procedure, ostensibly for the health and well being of us Vets, doesn’t it seem odd that there is a tremendous black hole where a medical study should be? Meanwhile, Vet’s claims are regularly shot down based on arcane theories that are medically outdated. We have seen tens of thousands of claims denied based on the idea that the HCV was not present in service in 1970 and the Vet was not diagnosed with it until, say, 1998-ergo it was contracted after service due to a”risky” lifestyle. Of course, when pressed to define the term, the VA examiner is often vague and shrugs his shoulders. Keep in mind, also, that there was no definitive test for HCV until 1989. Worse yet, the VA is fond of falling back on Maxson v. Gober (Fed. Cir. 2000) noting that the amount of time that lapses after service without complaint is a legitimate consideration for denial of service connection. While this argument might have some weight where hemorrhoids or impaired hearing are concerned, it certainly has no applicability to hepatitis C claims. 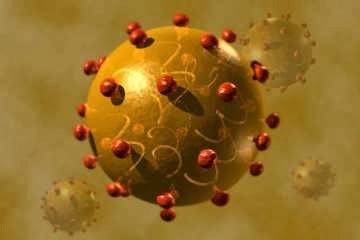 HCV, by its very nature, is a stealth disease with no outward manifestations for decades. This is common medical knowledge to everyone but the VA and much to our detriment. One of these days, long after the majority of HCV infected Veterans have passed away, there will be a revelation on VA’s part that, lo and behold, there was a link to the pedojets. There will be much sorrow and consternation with speeches claiming that if only VA had known the truth, then remuneration would have been forthcoming to all those disenfranchised Vets, their widows and the orphaned children. Witness the Agent Orange debacle if you doubt the scenario described above. Two of the AO diseases, Porphyria Cutanea Tarda and Chloracne, will not be remunerated by VA unless a Vet exhibited symptoms of them within one year of leaving Nam. Assuming you were one of the Few, the Proud, the Marines (the last servicemen to depart) playing “Up on the Rooftop” on May 5th, 1975 at the U.S. Embassy, that means you had to have DOCUMENTED symptoms by May 5th, 1976 or you were shitoutofluck on your claim. How’s that for a Catch 22? 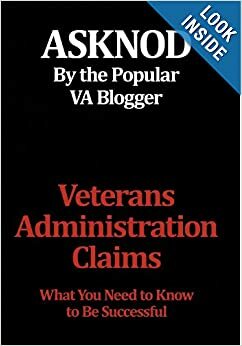 The Government, via the VA, is not going to offer service connection for another 20 years for anything having to do with AO, yet the Vet was required to start collating his evidence (and preserving it for his future claim) as soon as he departed sunny Southeast Asia. Hello? McFly? What’s wrong with this picture? In a court of law, this is known as “post hoc rationalization” and is definitely a Bozo no-no. According to the VA, Veterans of all stripes should have been aware of this eventuality and, like Boy Scouts, prepared for it. Perhaps the general American public, should they read this screed, can understand the frustration, despair and depression Vets experience when they file a claim with the VA. The process is not for the weak of heart and only rarely rewarded. We won’t even discuss the interminable delays Vets suffer from the inception of their claim to final adjudication. Suffice it to say your toddler child could very well be in college before a meaningful resolution is in sight. One last note. We at AskNOD are not language challenged and capitalize the word “Veteran” for a very good reason. As we are accorded such atrocious treatment by the government, we attempt to recover some of our dignity by emphasizing our contribution toAmerica. A “veteran” could be someone who worked for GM for 20 years or a perennial politician firmly ensconced in D.C. A “Veteran” in our lexicon is one who selflessly offered his/her services in defense of their Country. There are damn few of these. Please pass it on, as hackneyed as that phrase sounds in emails..